Route 66, the Mother Road that connected Chicago with Los Angeles, is one of the main features that makes America great in the eyes of the tourist for many reasons. 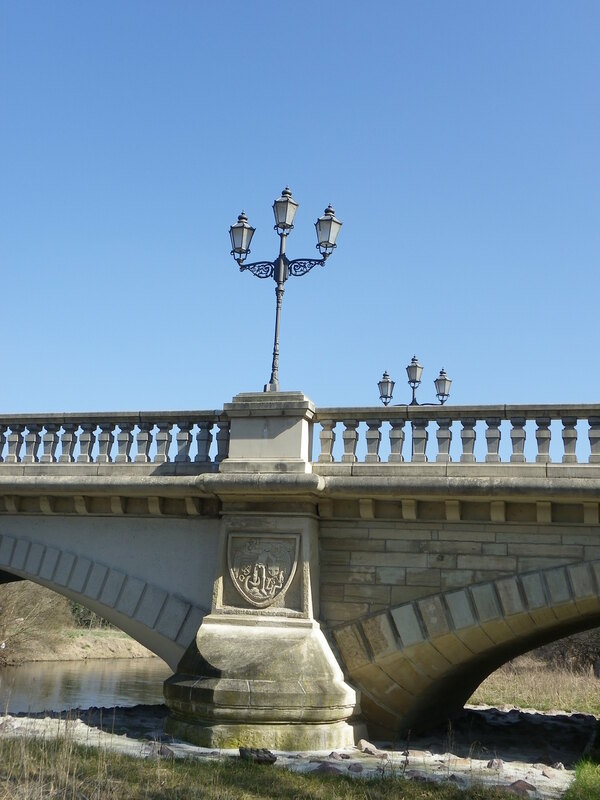 From monuments to restaurants; people to bridges…. 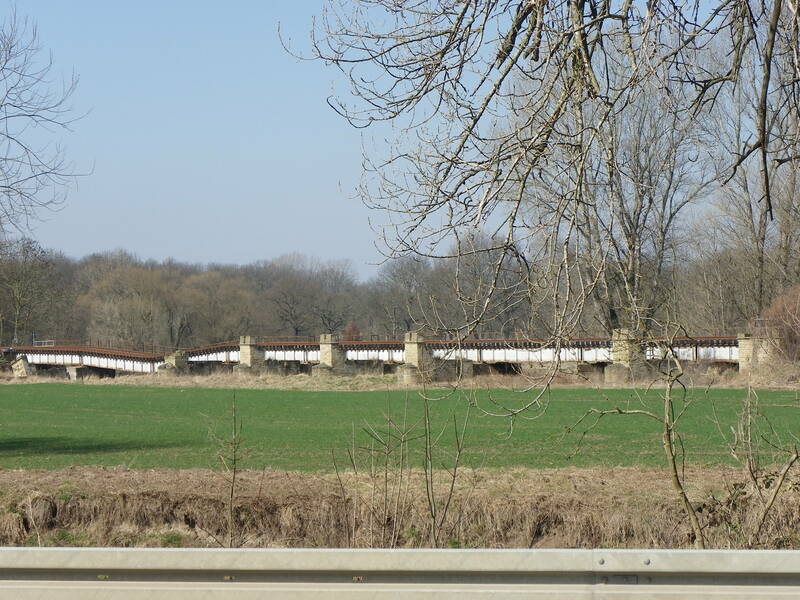 …..and in particular, abandoned bridges like this one. Located seven km (or four miles) south of the fourth largest city in Schleswig-Holstein, Husum, and at the junction of the Eider and Treene River, seven kilometers inward from the North Sea, Friedrichstadt appears to be a typical small town in the northernmost state of Germany with rows of small houses, farmland scenery with cattle and sheep grazing in the fields, and people greeting each other with “Moin! Moin!”. The town prides itself on its tourism and the typical specialties with fish, just like the rest of the cities up north. But Friedrichstadt also prides itself on its history and multiculture. Founded in 1623 by King Friedrich III and despite surviving four wars with its neighbors plus persecution of certain races, Friedrichstadt is one of the cultural points of interest, where large groups of Dutch, Frisans, Danes, Jews and Germans speaking northern dialects have lived for almost 400 years. It was a center commerce point for trade with empires from Russia, Scandanavia and Prussia, but is now a tourist attraction, where thousands of tourists from over 100 countries visit every year. The town was built using Amsterdam as the ante-type, featuring canals that slice through the town of 2,300, but encircling its beloved Dutch-style houses, and like the Dutch capital, the city is loaded with bridges of different types and coming from different eras of time. 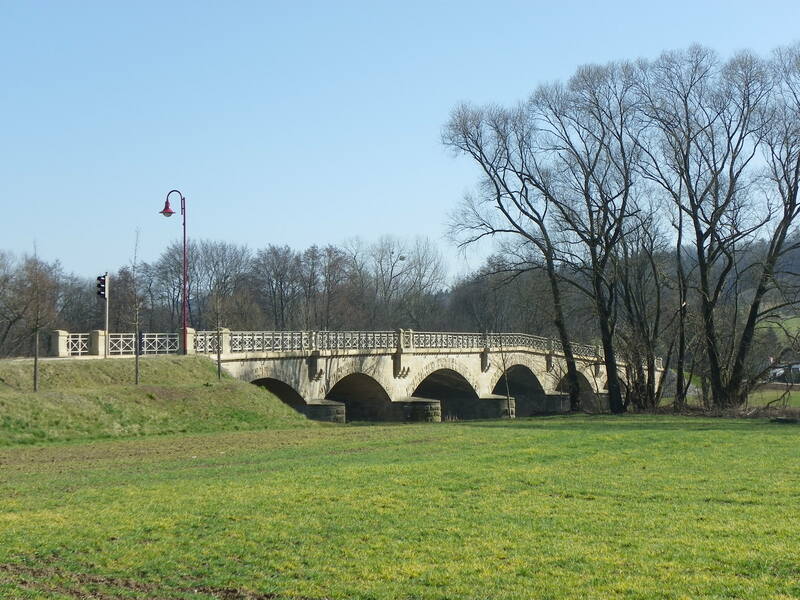 Eighteen Bridges can be found in this city, including two major crossings over the Eider just outside the city limits and some key notables in the town itself. 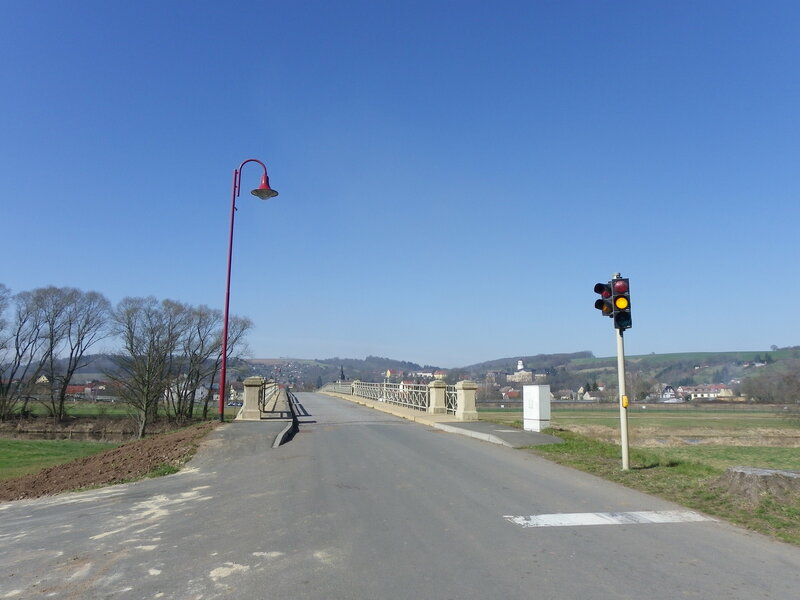 Each of the crossings can be reached by foot, by bike, or by boat, with most of them telling a story or having a picture showing its history, making the town proud of its history and heritage. After all, there are many reasons why Friedrichstadt is in the running for the Ammann Awards for Best Kept Secret on the International Scale. While one can write a library about the town’s 18 bridges, which is unusual for small town standards (a town of that size could have 3-5 bridges on average pending on location), the Bridgehunter’s Chronicles will feature a handful of bridges that are definitely worth seeing when spending even a few hours in this beloved Dutch town. 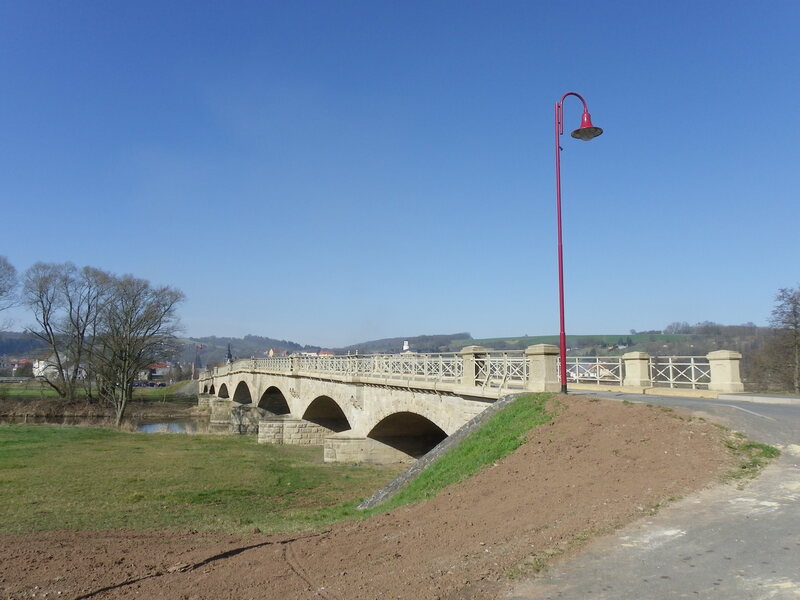 Each bridge will have a brief history, but photos for you to see, courtesy of not only yours truly, but also many contributors, who were willing to step forward to help. The credits will be provided at the end of the article. So without further ado, we’ll start with the outer edge of town with the two Eider Bridges and work our way towards the Treene. 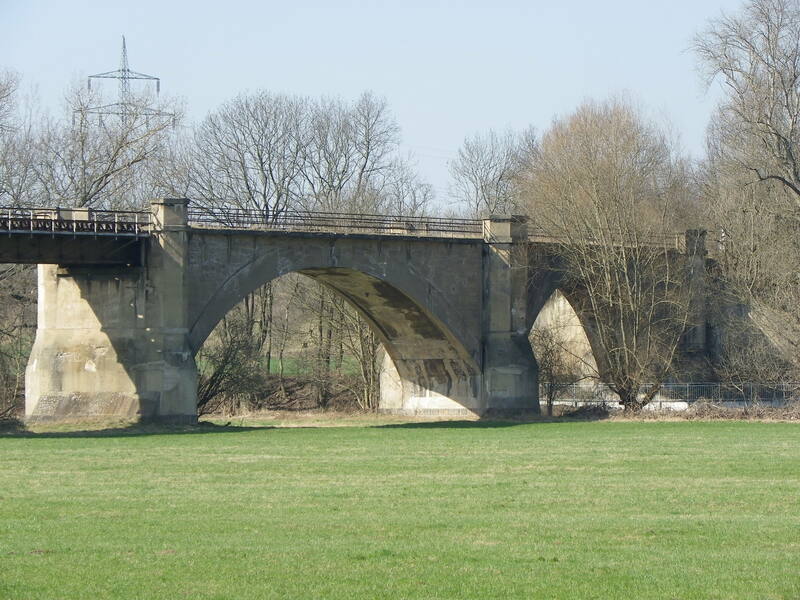 Spanning the Eider River at the southwest end of town, this bridge represents one of the finest works of Friedrich Voss, who had constructed many bridges along the Baltic-North Sea Canal, including the Rendsburg High Bridge. 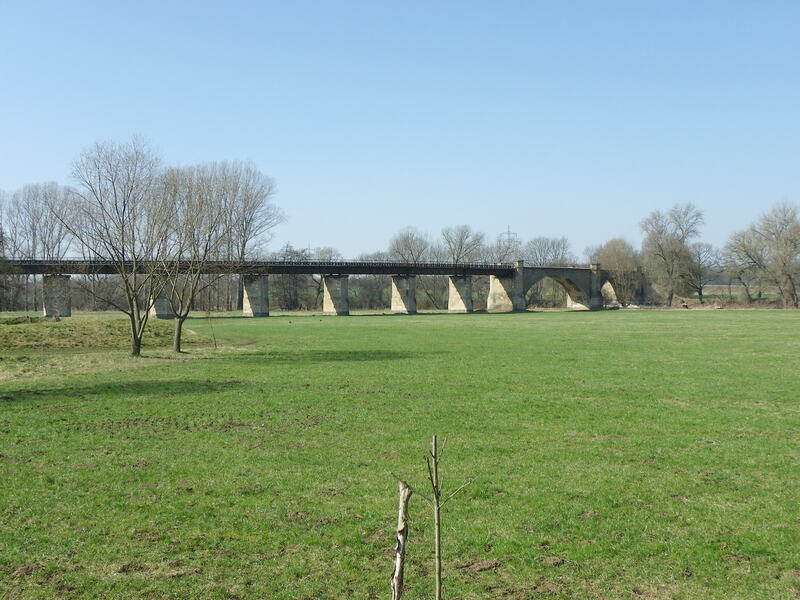 Built in 1916, three years after the world-renowned bridge was open to rail traffic, the Friedrichstadt Arch Bridge features three spans- the center span being a two-part draw bridge; the outer spans being steel through arch bridges. 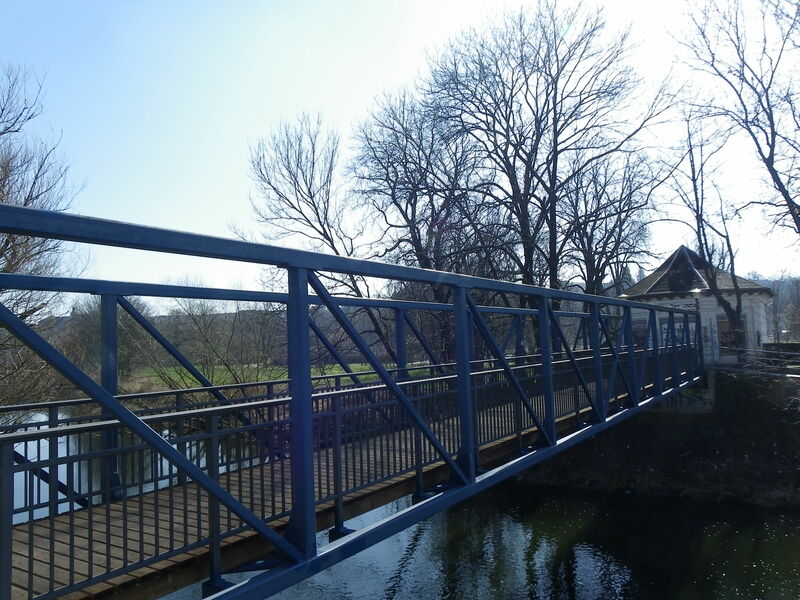 While the draw span is rarely used nowadays, the bridge has received its regular wear and tear as it serves traffic going south towards Heide. It still serves traffic today despite being renovated in 2006. 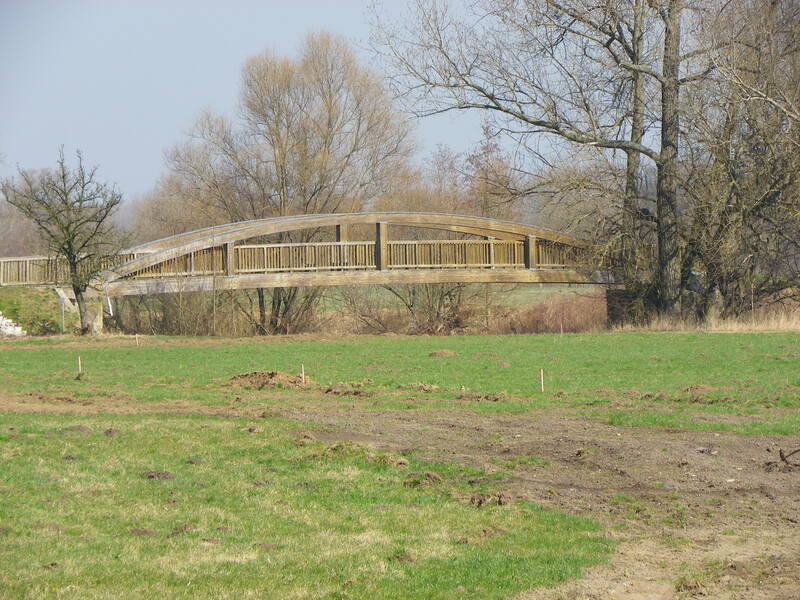 There is sometimes a misconception as to determining the meaning of a wooden covered bridge. 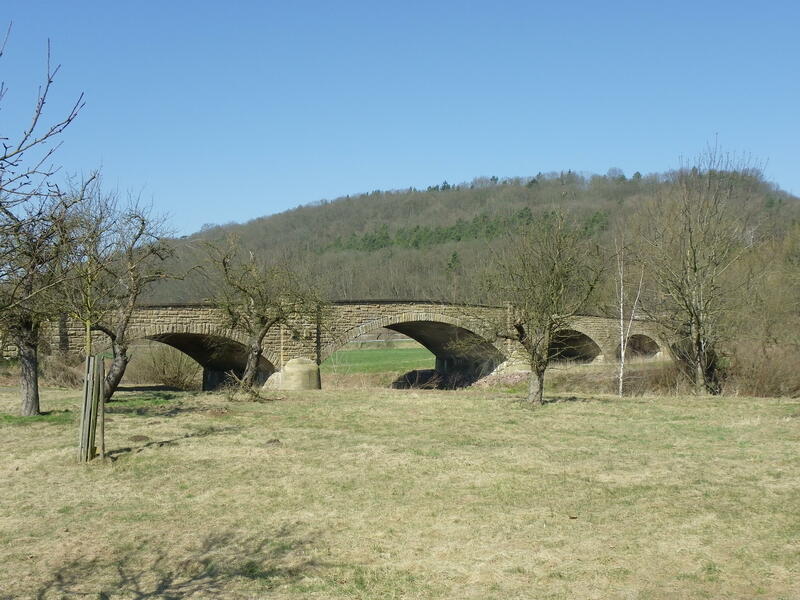 Many people have a tendency of considering bridges, like the one above to be a covered bridge. Yet the definition of a covered bridge is different. 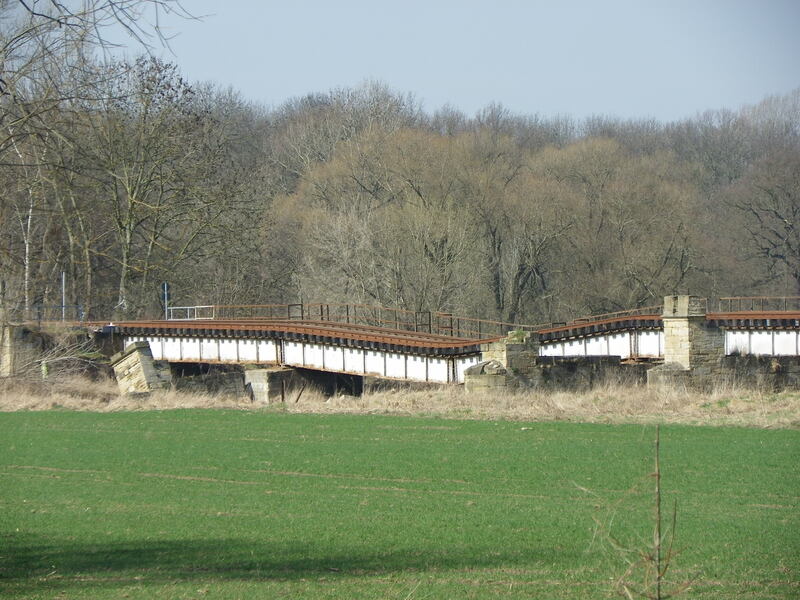 A covered bridge is a truss bridge that is covered by siding and most of the time, a gabled roof. There are many examples of covered bridges that exist in the US and Europe, including the Marysville Covered Bridge, located at a park near Knoxville, Iowa. 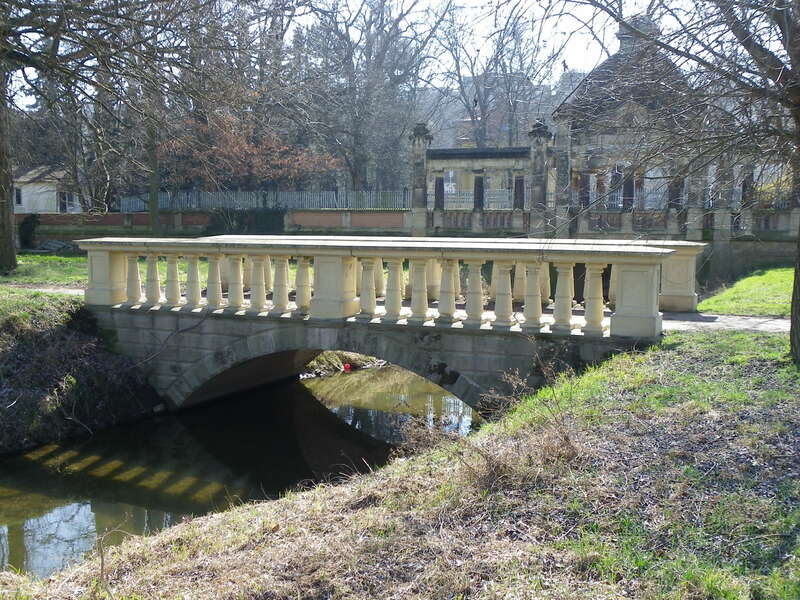 But going back to this mystery bridge, the bridge made of wood is considered plainly a wooden truss bridge, whose wooden beams are connected with nuts and bolts but are neither pin-connected, welded nor riveted. 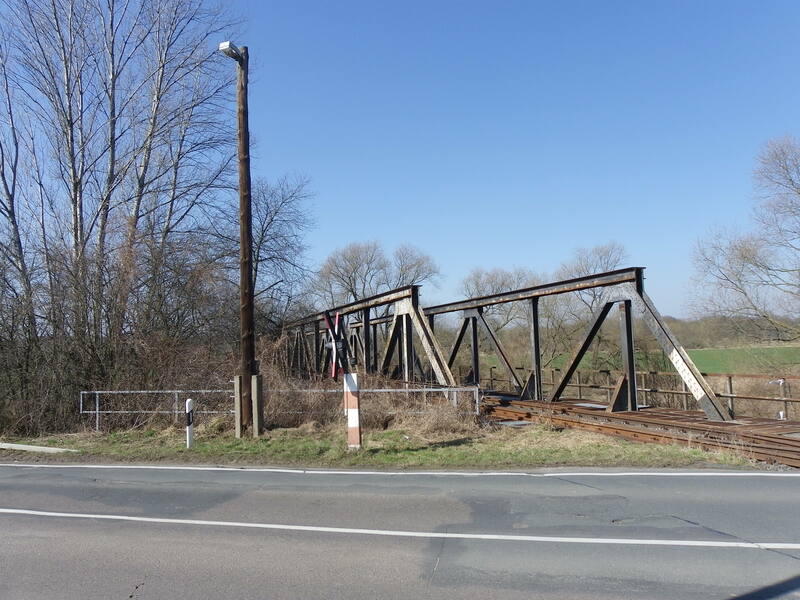 There were numerous wooden truss bridges that were built during the second half of the 1800s and fewer that were built between 1900 and 1960. 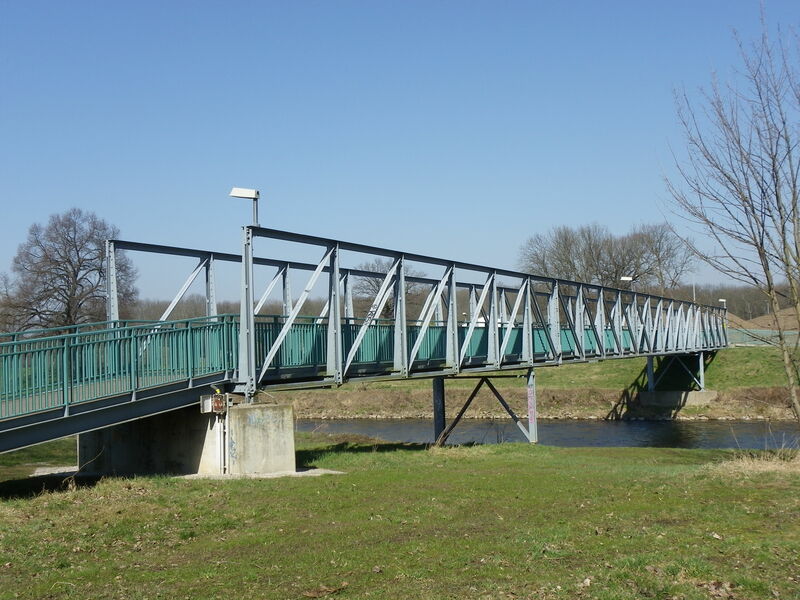 There are only a handful of these bridges that exist in the US for wood has the shortest lifespan of any bridges made of other materials, and is one with the highest maintenance- it needs to be varnished and painted regularly to ensure that they last just as long as bridges made of iron and/or steel. The mystery bridge featured here is located in eastern California, spanning the Middle Yuba River between the Milton Reservoir and dam and the Jackson Reservoir, just 500 feet west of Heness Pass Road. The bridge features three spans of a double-intersecting Warren pony truss (shaped in a Howe lattice design) made of wood. 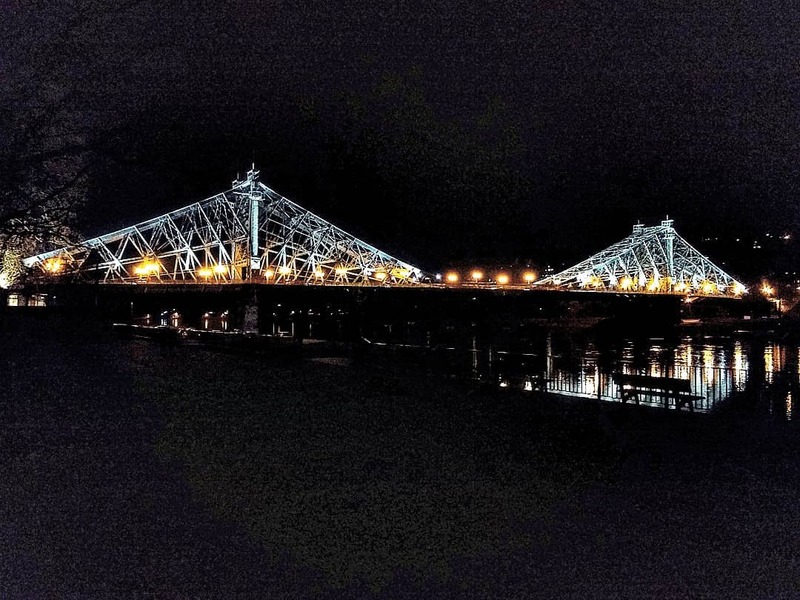 Judging by its appearance in the pictures presented below, the wooden truss bridge features both riveted connections (on the top chords) and bolted connections, where intersecting beams are connected with bolts and nuts that were drilled into the wood. The bridge was discovered by Aimee Stubbs while on a camping/ motorcycle trip in 2011 only to revisit the bridge again this past summer. The bridge appears to have seen better days as it partially collapsed some time ago (although it not pinpointed as to when it happened), and only one of the truss spans is still standing. Since it served a dirt road located not far from the county road, the bridge and road seemed to have been abandoned, with nature taking its course on both. 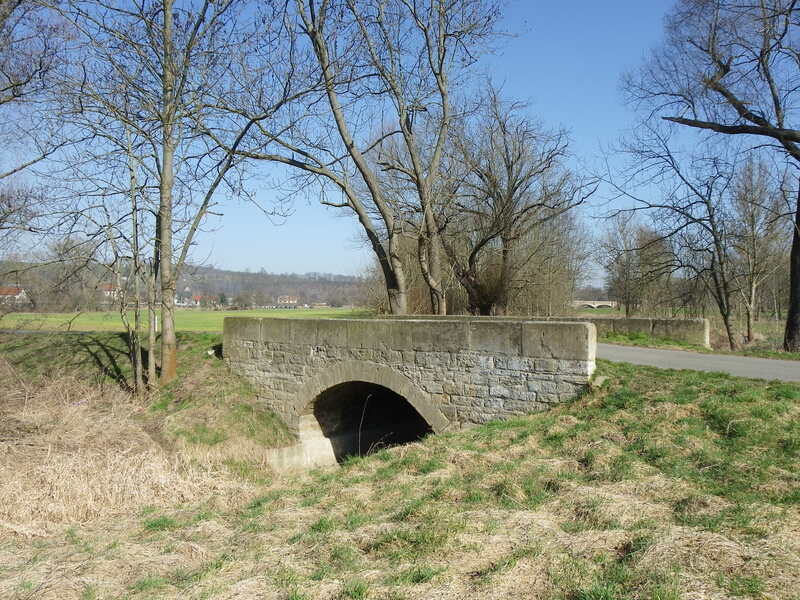 To reach the bridge via dirt road would require walking to the structure, which is challenging given the landscape where the bridge is located. According to Stubbs, the Middle Yuba River is infamous for its recurring floods, causing damage and erosion to the bridge and the road. Yet there is no information on the bridge’s history that was found with the exception of the fact that the river separates both Sierra and Nevada Counties, two counties that were created in 1851-2 after seceding from Yuba County. 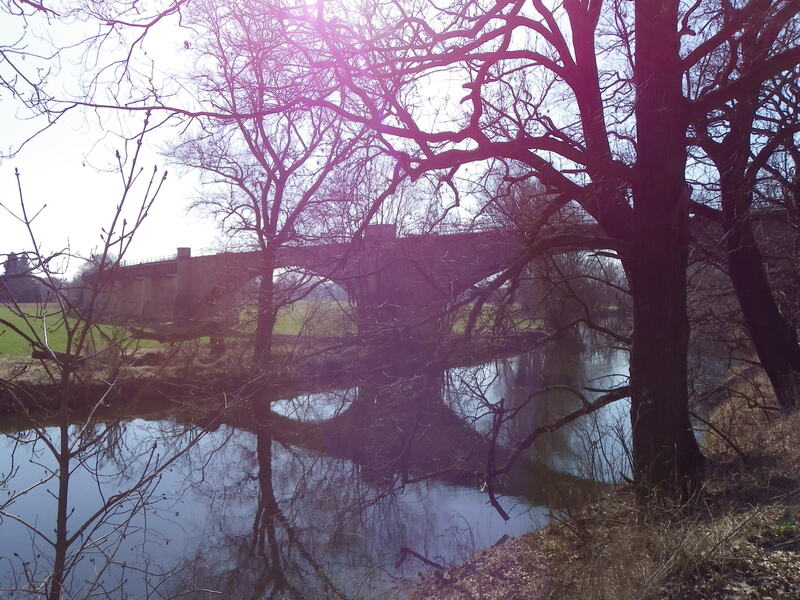 Ms. Stubbs has been researching this bridge since finding it for the first time and needs your help. 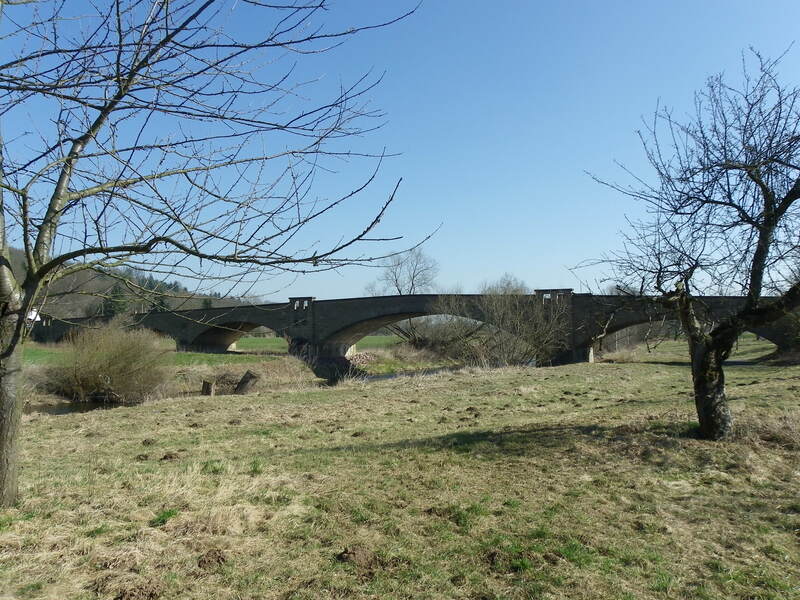 With three spans, this bridge is one of the rarest in the country, if not the world. Yet its recent demise due to its collapse makes it even more important to find information on the structure so that people are aware of its existence (or at least its partial existence). If you have any information pertaining to the bridge, please contact her using the following information below. The Bridgehunter’s Chronicles will keep you posted as soon as information comes to light on this unique structure. 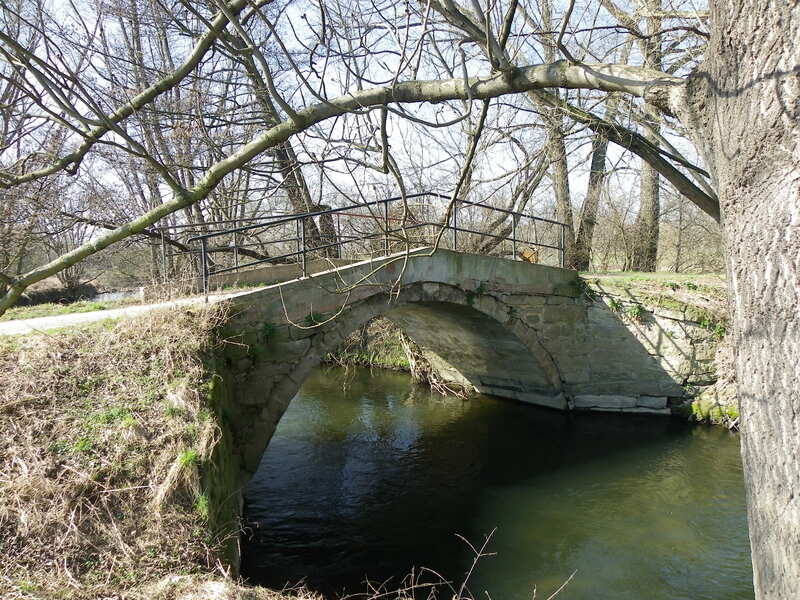 If you know of another bridge that is similar to the one shown here and still exists today, please contact Jason D. Smith using the contact details below as well. That information will be added as well. 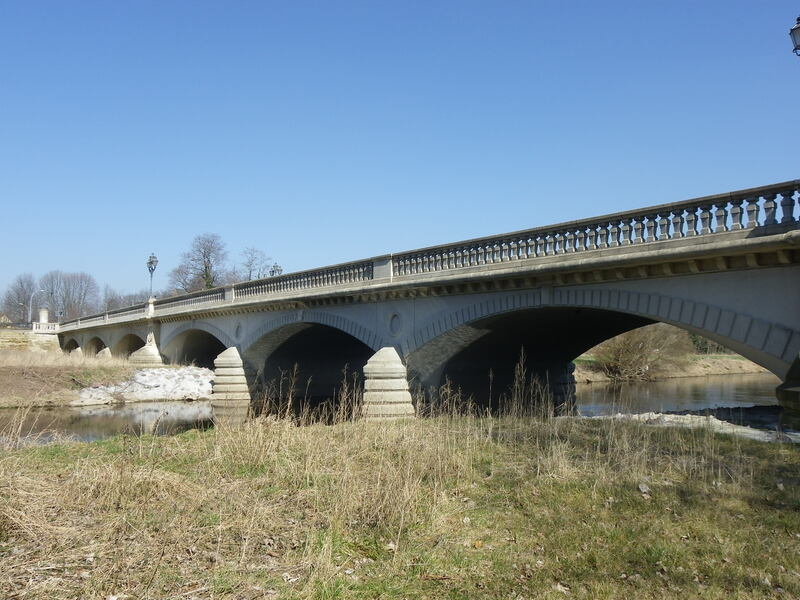 The Bridgehunter connects the past with the future through research and preservation of historic bridges in the present.